Important! 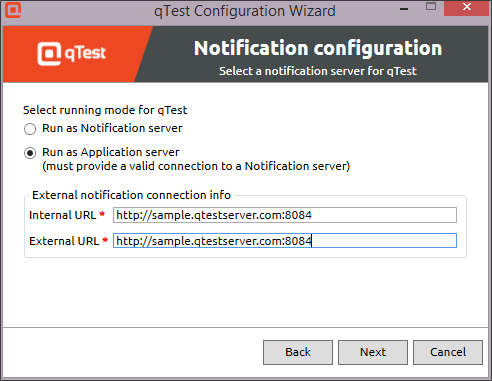 Please make sure you have a JIRA administrator upgrade the qTest plugin for JIRA(the previous version is deprecated). qTest can be deployed either with single server instance or load balancing. Please select one of these options from the links below. 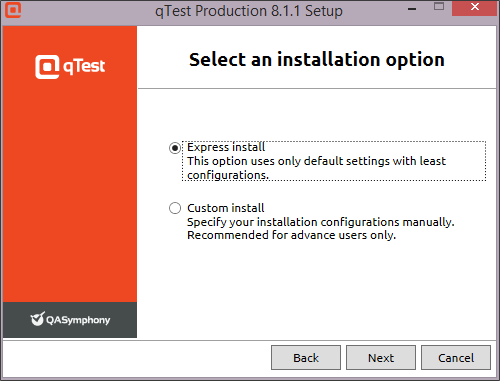 qTest OnPremise installer can be downloaded here. 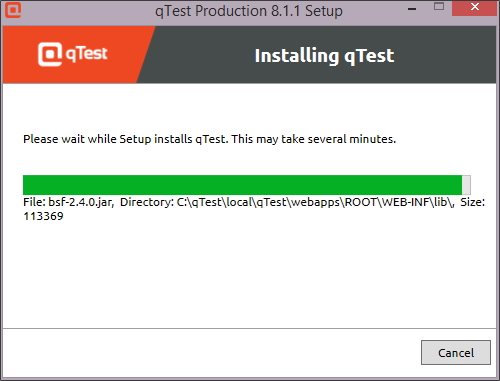 Once downloaded, double click on the installer to start the installing process. 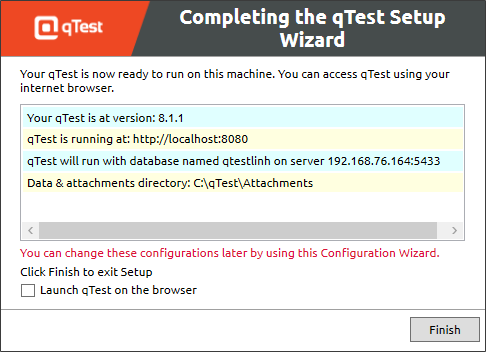 At this stage, you can select to either Exit the Setup wizard by clicking the Finish button, or launch qTest immediately on your default web browser by selecting the "Launch qTest on the browser" check box, then click on the Finish button. 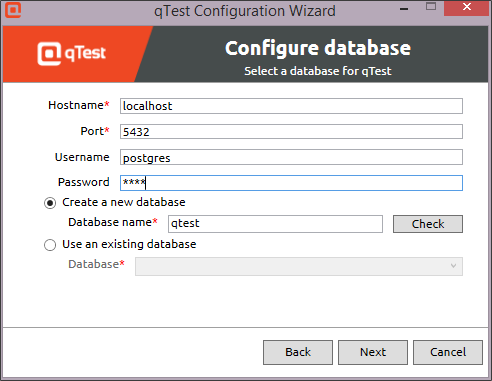 The Site Administrator account is compulsory and will be used to initiate the very first and essential activities on any qTest OnPremise sites, including creating projects, inviting users, assigning user profiles, purchasing licenses, etc. 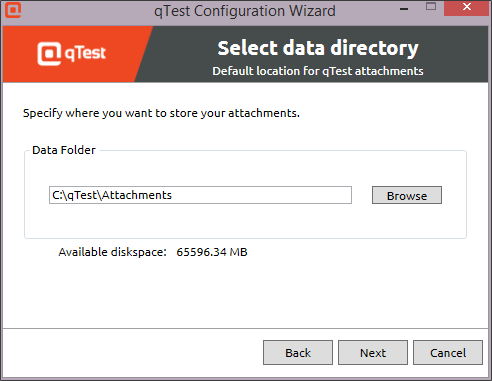 Organization name This data is needed to create the root folder where all projects within a qTest site will be placed under. 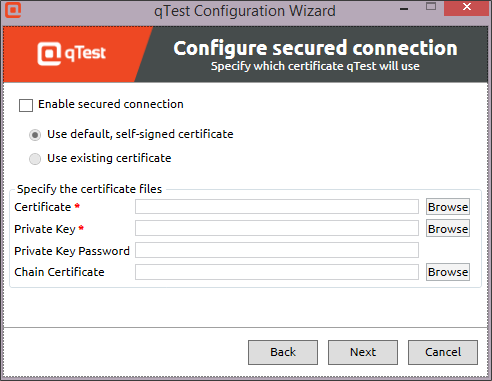 First name & Last name Specify the first name and last name of the Site Administrator, used for selection/task assignments when working in qTest. 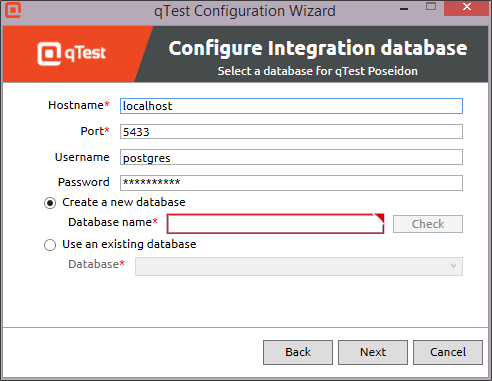 Login email Specify the email address of the Site Administrator used for logging. This must not be an organizational email address, but must be a valid email address (e.g. : address@mail.com). Password Enter password and confirm the password again. This password must have 8-16 characters and contain at least 1 letter and 1 digit (e.g. 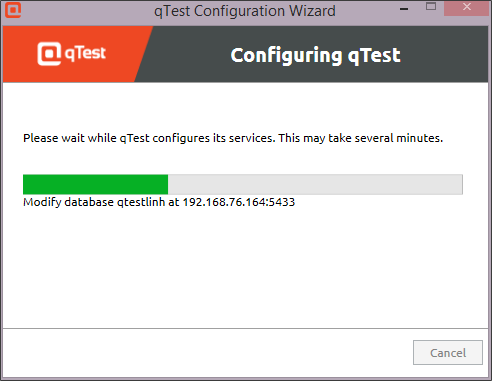 : qtestadmin123). NOTE: This step is not required at this stage, you can skip it, but email notifications will not be sent when inviting new users into your site. 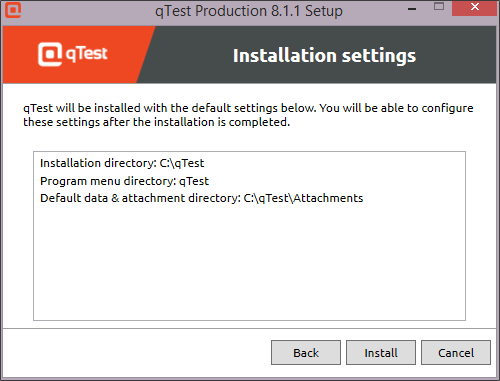 It’s strongly recommended to complete this step before proceeding if you have an email server already up & running. You can come back anytime later to set up your SMPT email server if needed. 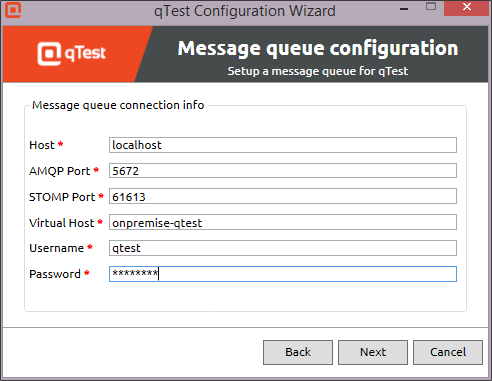 Specify the hostname or IP address of your SMTP mail server. Specify the SMTP port number, usually 25 for SMTP or 465 for SMTPS. Leave this field blank to use 25 as the default port. From email address Specify the email address used in the “Form” field in every outgoing email. This email address must be also configured and approved to send outgoing emails on this email server. Enter password and confirm password if the SMPT email server requires authentication. For free SMTP services, username is your full email address itself. 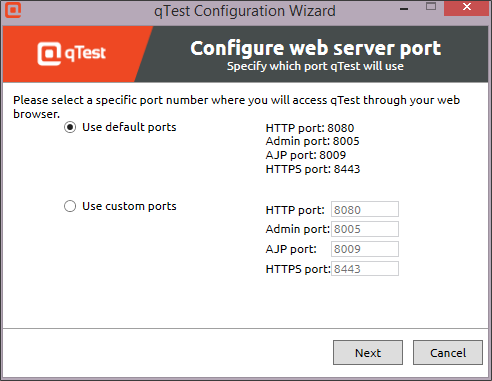 After you have filled in all details of the SMTP server, you can test for the connection to see if the settings are entered correctly. Finally, just click the OK button to finishing setting up the email server. 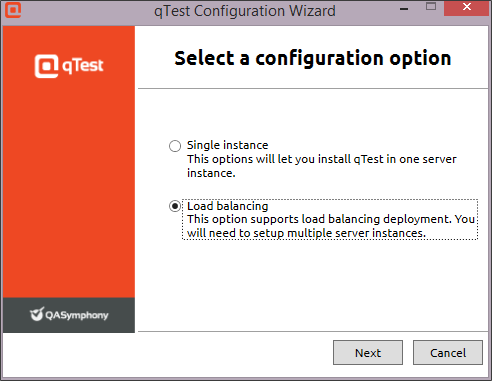 To activate your qTest application, you will need to import qTest license. 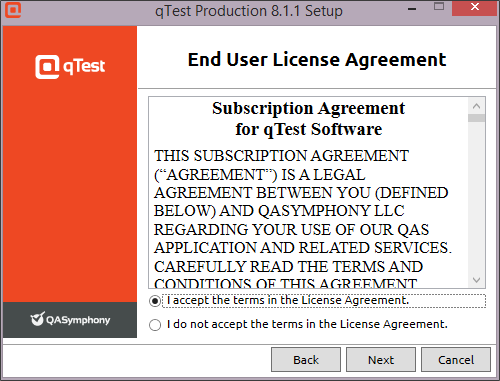 Please contact your Customer Success Manager or support@qasymphony.com to request your license file. 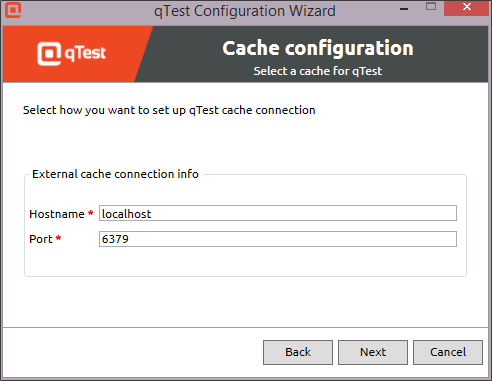 In qTest Site Administration, select the tab LICENSES - USERS. Click on Choose license file to import your license file. 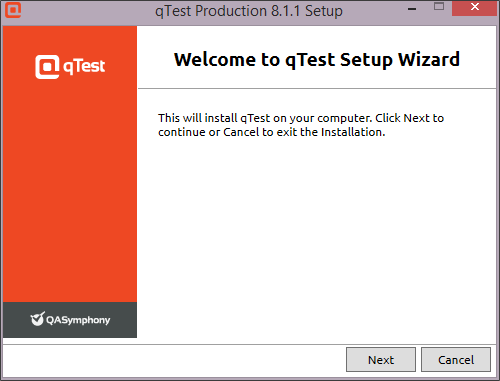 NOTE: For qTest Premium and Elite editions, please proceed to install qTest Sessions.